Rosie is the Musical Director of Songbirds and enjoys the challenge of working with such a diverse range of women and non-binary people. 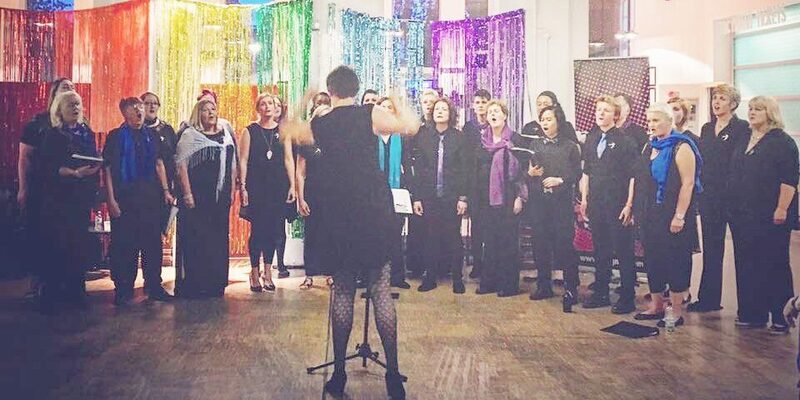 Rosie Howarth is a conductor and singer based in South Wales. In 2016 she graduated from the Royal Welsh College of Music and Drama with an MA in Choral Conducting, where she received a scholarship from the Worshipful Company of Musicians. Prior to this she studied Music and German at Cardiff University and the Freie Universität, Berlin, graduating with first-class honours in 2012 and receiving the David Evans prize. Rosie has sung and played the violin in a number of ensembles in England, Wales and Germany. As a singer, she is currently a member of the BBC National Chorus of Wales, with which she regularly performs on BBC Radio 3 and BBC Four, at the BBC Proms, and has made several CD recordings. In addition to working with Songbirds, Rosie is the Chorus Master of The Athenaeum Singers, as well as the Musical Director of Caerphilly Community Chorus and Cor Bro Ogwr in Bridgend. She is also Assistant Musical Director of Opera Ddraig, and previously assisted on Welsh National Youth Opera’s 2016 award-winning production of Kommilitonen! by Peter Maxwell Davies. Rosie focuses on making Songbirds fun and relaxed for the members, and aims to make it accessible to those with and without musical experience and ability. Songs are picked and arranged by her based on suggestions from the choir as well as a few of her own ideas, and she is committed to helping the choir sing a broad range of repertoire. She enjoys conducting performances but is keen to make fun and friendship the focus of the choir.